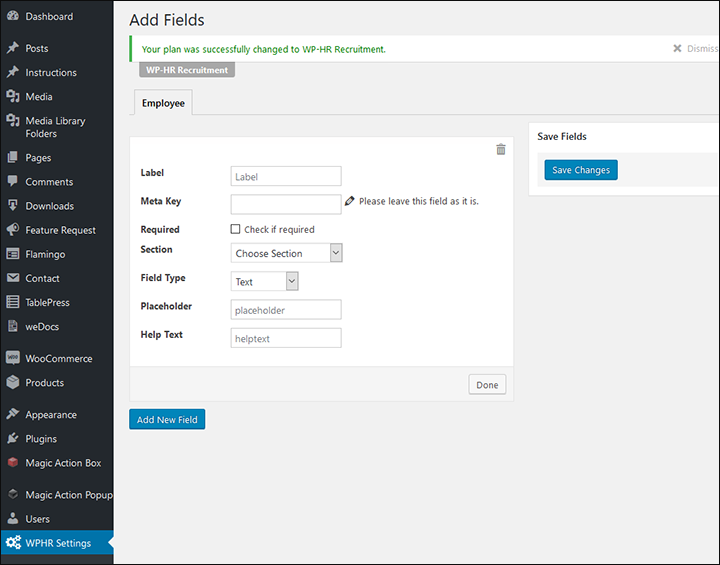 WP-HR Add Fields integrates seemlessly within WP-HR Manager and enables you to add extra fields to employee profiles (General Info Tab). 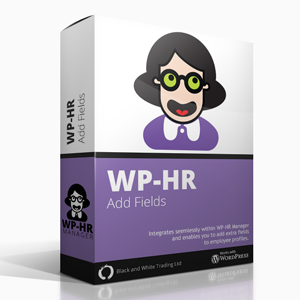 WP-HR Add Fields integrates seemlessly within WP-HR Manager and enables you to add extra fields to employee profiles (General Info Tab). 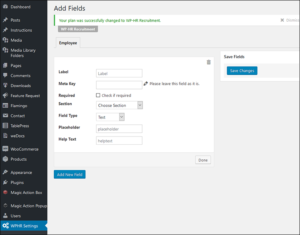 If you have WP-HR Recruitment installed you will also be able to add fields to the recruitment form. Add text fields, drop downs, check boxes, reCapture and more.